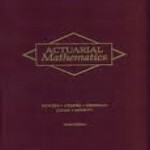 This place for actuarial students who are looking to exchange old exam books with actuarial students who are looking for exam books to find each other. Please note that the code of professional conduct as promulgated by the American Academy of Actuaries applies to student actuaries and credentialed actuaries equally. In particular, precept 10 – Courtesy and Cooperation, is directly applicable to following acceptable online behavior with regard to appropriate comments, posts, messaging other members, etc. The code of professional conduct can be read HERE. Email techsupport@chicagoactuarialassociation.org to request the creation of new groups.